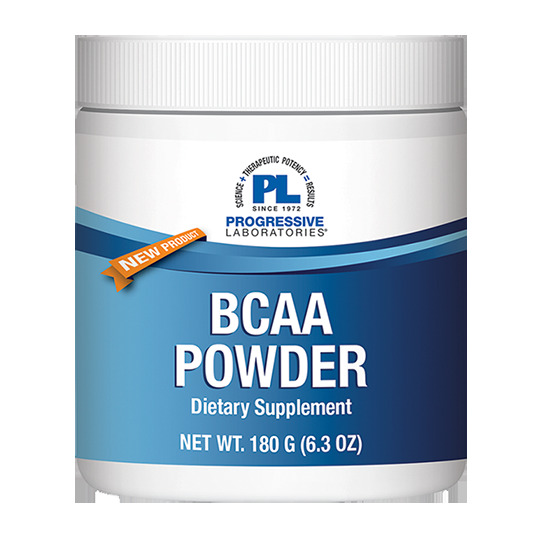 Progressive Labs BCAA Powder is provided in a 2:1:1 ratio (leucine:isoleucine:valine) which has been found to the most beneficial ratio. Athletes and active people may supplement with (BCAAs) to try to help with recovery from workouts and enhance athletic performance. BCAA Powder has been instantized with sunflower lecithin instead of soy lecithin to allow for easy dissolution and is non-GMO, gluten free and vegan friendly. Mix 1 scoop (approx. 3 grams) with 8 oz. of water or juice, stir briskly and drink.